We’ve all been in meetings where the sales manager presents an overly complex and confusing sales report. By the end of the meeting, you somehow have less of an idea of how the sales team is performing than when the meeting convened. It is crucial that you create clear, concise sales reports that showcase the most important information your bosses need to steer your company away from potholes and on a smooth road to continued growth and success. Here’s how to do it. As a sales manager, you probably sit on a mountain of information that grows bigger by the hour. All of this information is relevant to you, but is it necessary for or useful to your management team? Before you begin to build your sales report, you must first consider your audience and ask yourself what information they need. This perspective will guide you as you choose what data to provide. For example, the information that interests your vice president of marketing will be vastly different than what your chief financial officer looks for. Your VP of marketing wants to know how well your sales reps are converting the leads her team is providing. She will also want details on which marketing campaigns are leading to the highest conversion rates and have the greatest ROI. In contrast, you CFO will want all of the major sales numbers, along with your expenses. He also needs accurate sales forecasts so he can make sure everyone gets paid and the lights stay on. What is your revenue versus expenses for the chosen time period? How did your team’s sales compare to previous periods (ex: previous quarter, previous year)? Which products and services are selling the most? Which products and services are not meeting expectations? What is your sales forecast for the next month/quarter/year? What are key areas for opportunities? Do you need to divide a territory or ask for executive assistance to close a big account? What are key challenges? Is it time to pull back from a territory or product line? All of this information may not be necessary for every report you create, especially if you are presenting to a single department head who may only be interested in a narrow field of information. However, offering a more comprehensive picture of sales performance is often better than giving too little information. Are you going to share all your sales numbers from the inception of your company? That would be a pretty hefty report. Instead, figure out what time period you want to focus on. Is this a weekly report, a monthly report, a quarterly report, or a year-end review? The length of time will help determine the focus of the report. For example, a yearly report will allow you to review larger trends in your industry, customer buying habits, as well as the results of major marketing initiatives, new product roll-outs, and seasonal fluctuations. Choosing a specific time period will also allow you to perform more accurate period-to-period comparisons. In every mountain of data you can mine many important, actionable gems, but you can’t expect your management team to grab a pickaxe and start digging. The way you decide to convey information is just as important as the information itself. The primary function of a good sales report is to convey information in a way that is easily understandable, digestible, and actionable. When you begin compiling numbers, ask yourself, “How can I showcase an important point in the best way possible?” A bar graph may do a better job of showing how much sales of your flagship product have increased over the last five years than simply putting the numbers into a table. Or, maybe a pie chart is the clearest way of showing how each product contributes to your overall sales numbers. Visually crafting your data isn’t just about making your sales report look pretty. It’s about making the information engaging and easy to understand. Your management team doesn’t have time to sift for gems of info, so don’t make them. You can’t build a solid sales report or act without reliable information. Regardless of the size of your company or your particular industry, you need a robust CRM system to capture, track, filter, and help you analyze all of this information before you can put it into your report. Make sure your CRM system has capabilities specifically designed to help you quickly and easily put together highly focused and compelling sales reports. For example, use a dashboard template that automates the organization of your most important sales metrics, including a Sales Executive Dashboard. You should design and personalize your dashboard to create reports tailored for different department heads. Get an eagle-eye view of your team’s sales performance over time, or dig down into the nitty gritty. Whether your CEO wants you to present a 10-minute year-to-date review of sales for a new investor, or your VP of marketing asks for a day-long dive into the details of the latest marketing campaign results, use your CRM to quickly and easily design the reports you need. When you adopt a robust CRM, you gain access to an unprecedented amount of information. It will be easy to review every aspect of your sales apparatus with a fine-toothed comb. These are powerful abilities for you, the sales manager, but your CEO probably doesn’t need to know how many calls each of your sales reps made yesterday. It may be tempting to stuff your sales report with as much information as possible, but resist the urge to drown your bosses in the details. Your goal is to present the management team with a clear and concise report that gives them only the information they truly need to take action. Numbers can never tell the full story, and data can also be manipulated or misinterpreted. Your responsibility to your management team isn’t just to hand over data; it is also to put the numbers into context. Did overall sales go down last month? That could be a scary metric to your CEO—until you explain that a major tropical storm depressed sales in your top-selling territory and that you expect those customers to buy this month. 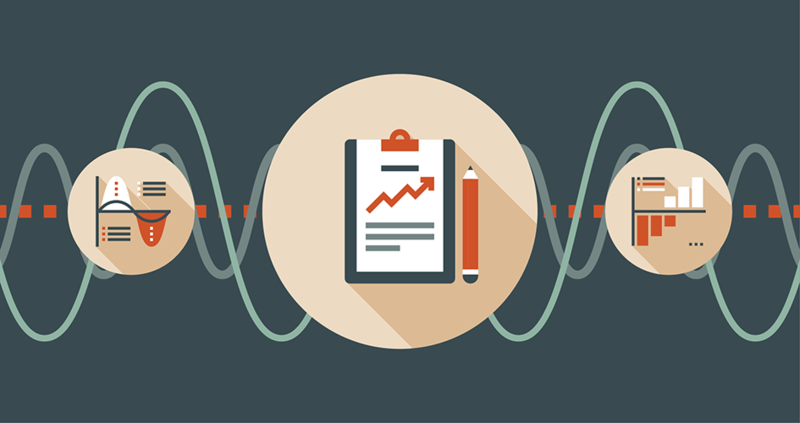 Make sure you add context in your report so that your team can correctly identify true trends. 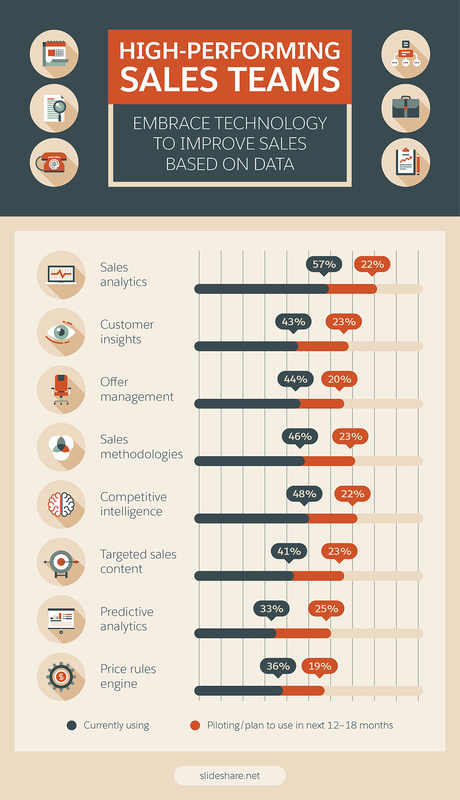 Pro tip: Your management team doesn’t have nearly as much insight into your sales operation as you do. Consider adding one or two informative or positive case studies to your report to show your managers what is happening on the ground or to highlight great work by members of your team. The growing complexity of the business world, along with the increasing capabilities of CRM systems, means that you can’t get by with the same sales reports your predecessors used. 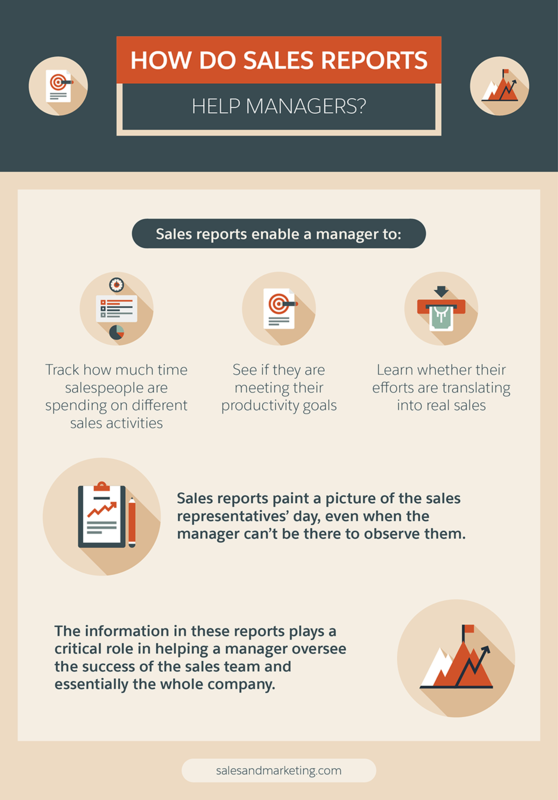 These days you have access to a huge amount of data, and you must find a way to boil it down into an informative and useful sales report for your busy executive team. It may seem like a big task, but remember to consider first who the report is for. Think about the information they need to act, and put that into your report. Choose a time period and figure out how best to clearly convey the information. Your CRM system will help you quickly pull your information into a sleek report. Eliminate data that isn’t essential, and add any additional context that tells the story behind the numbers. And there you have it: A beautiful report that informs, clarifies, and impresses your higher-ups. Click below for a copy of our e-book, “The Future of Intelligent Selling: How Data Will Drive Sales.” With the right data and user-friendly sales reports, your sales team will be more effective.